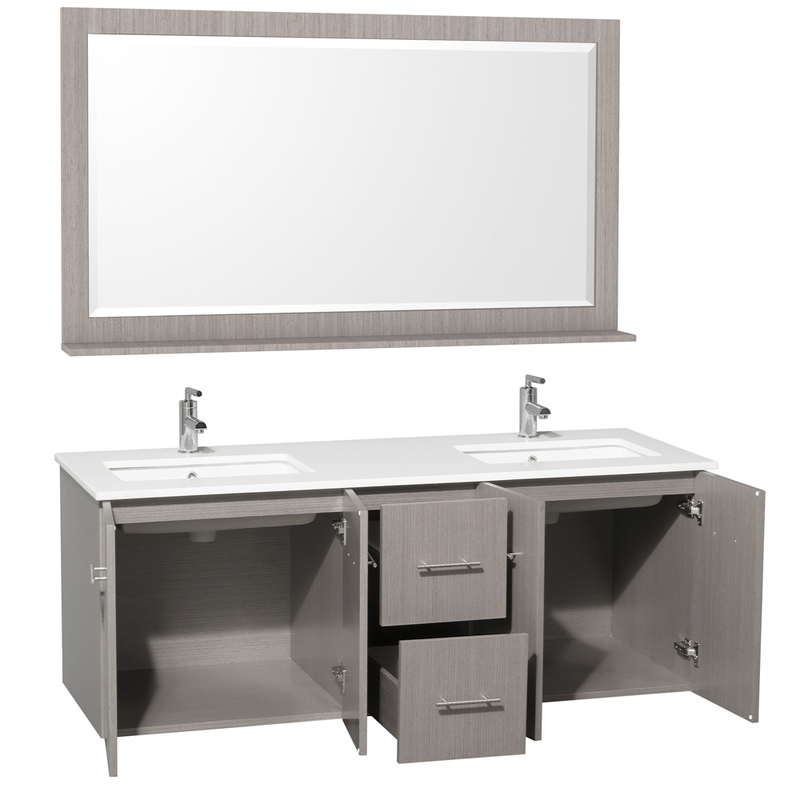 The 60" Zentra Double Vanity features a gorgeous Grey Oak finish with a solid oak construction for beauty and durability. 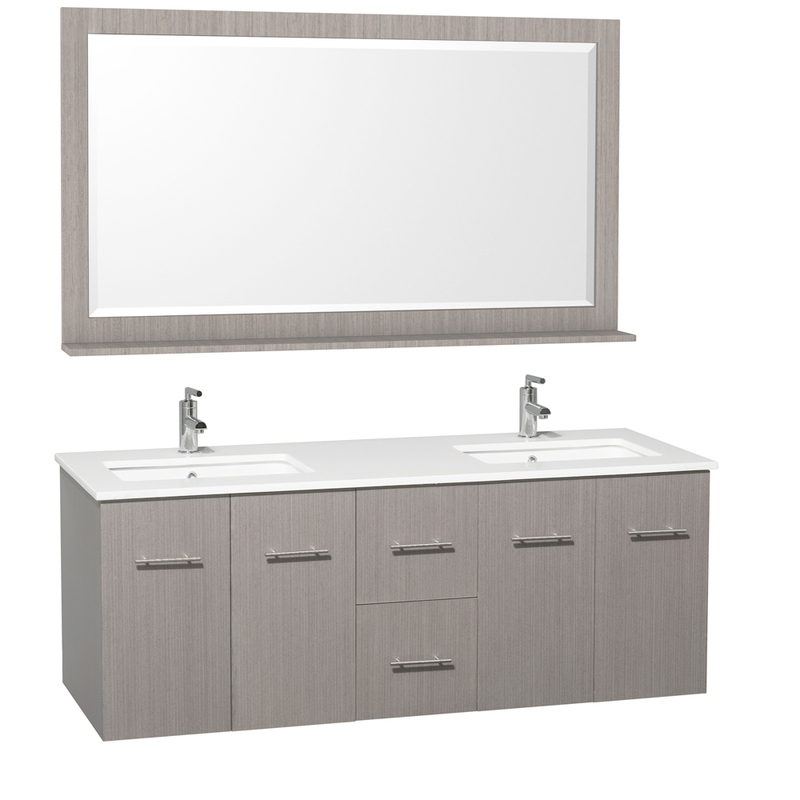 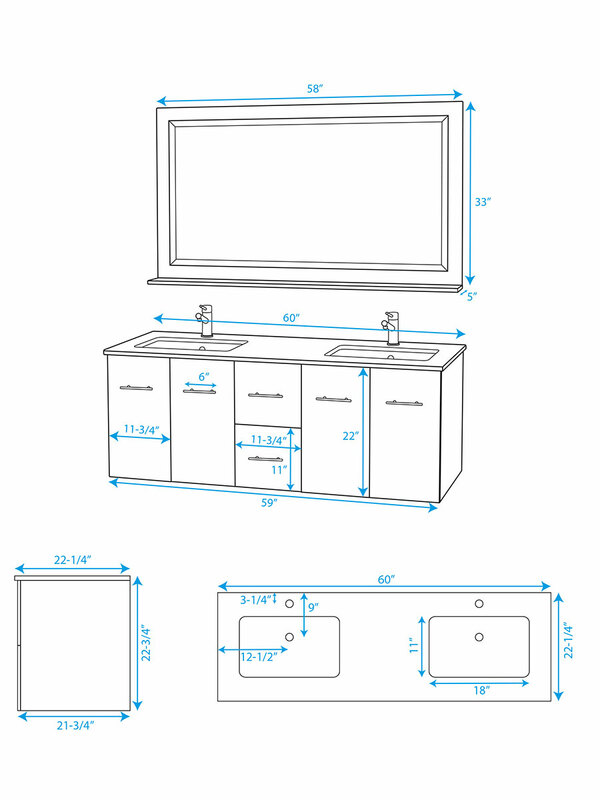 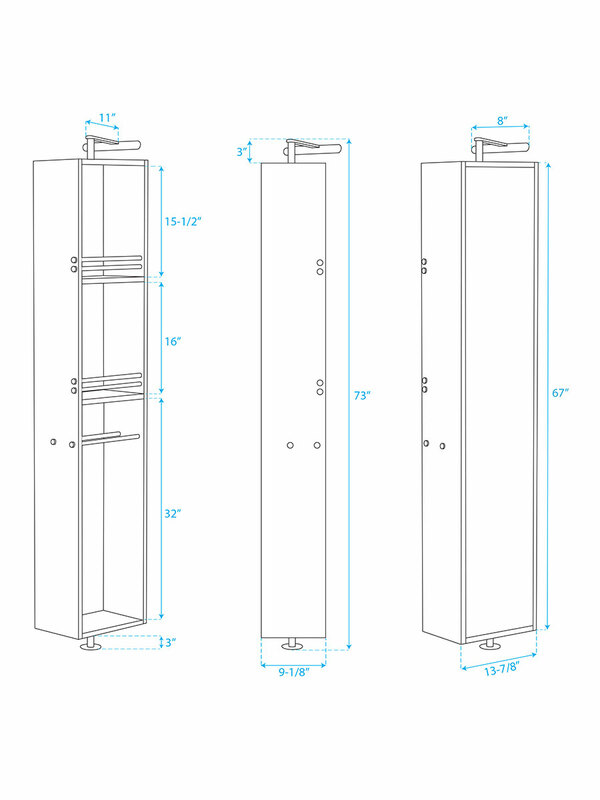 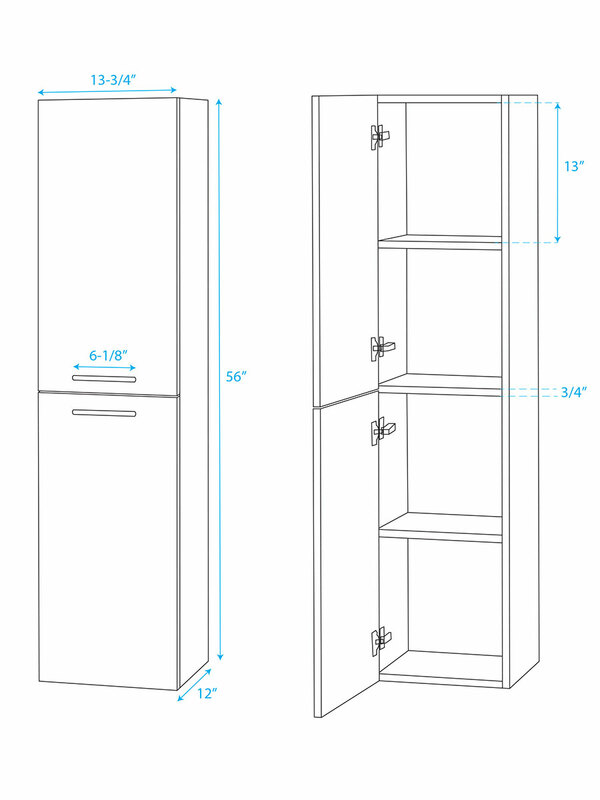 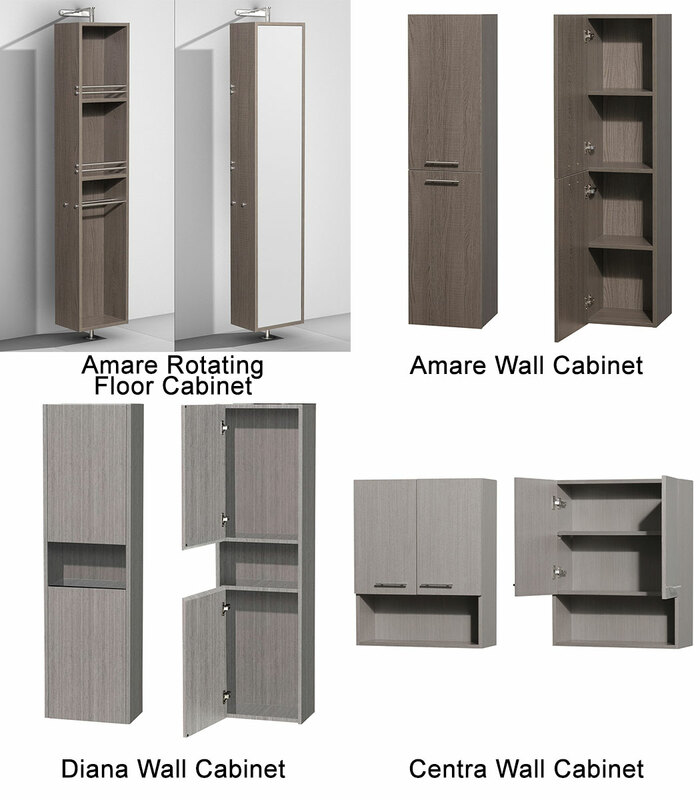 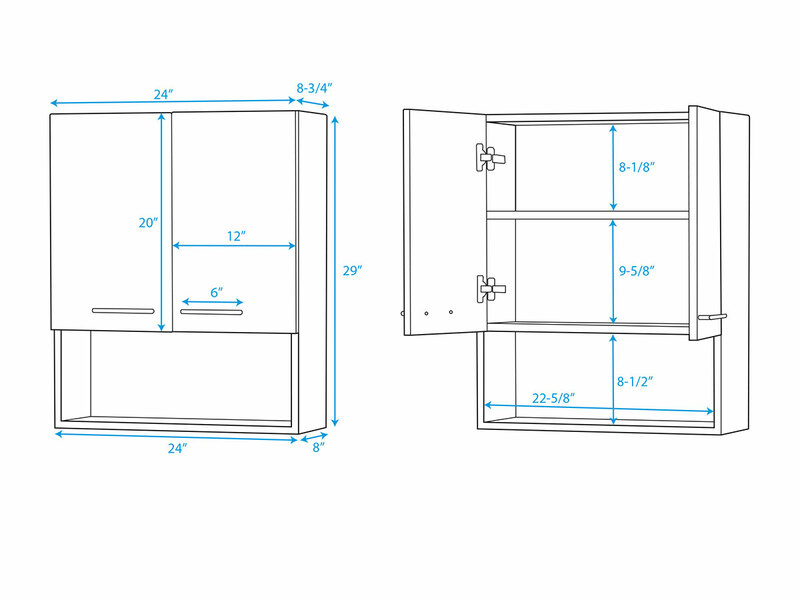 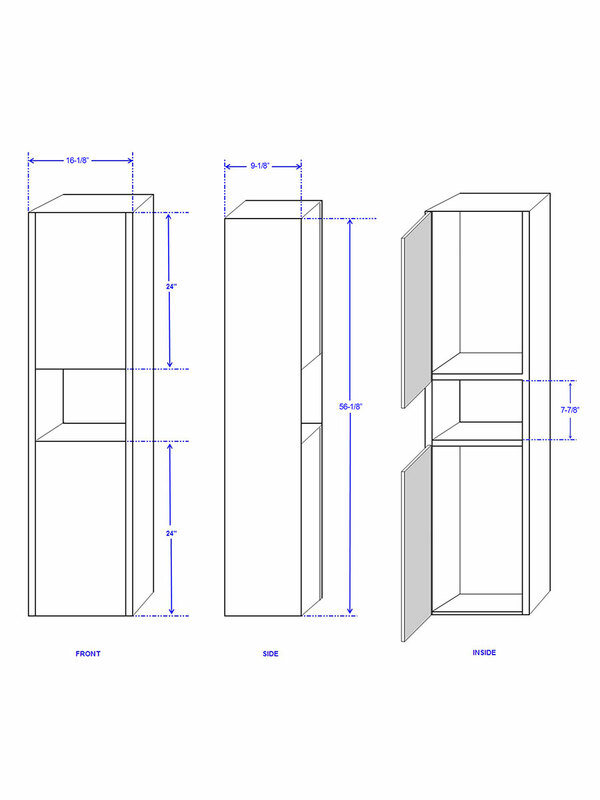 Its cabinet offers wood grain finish that's accented with Brushed Chrome hardware and gives you two double-door cabinets and two functional drawers of storage drawers. 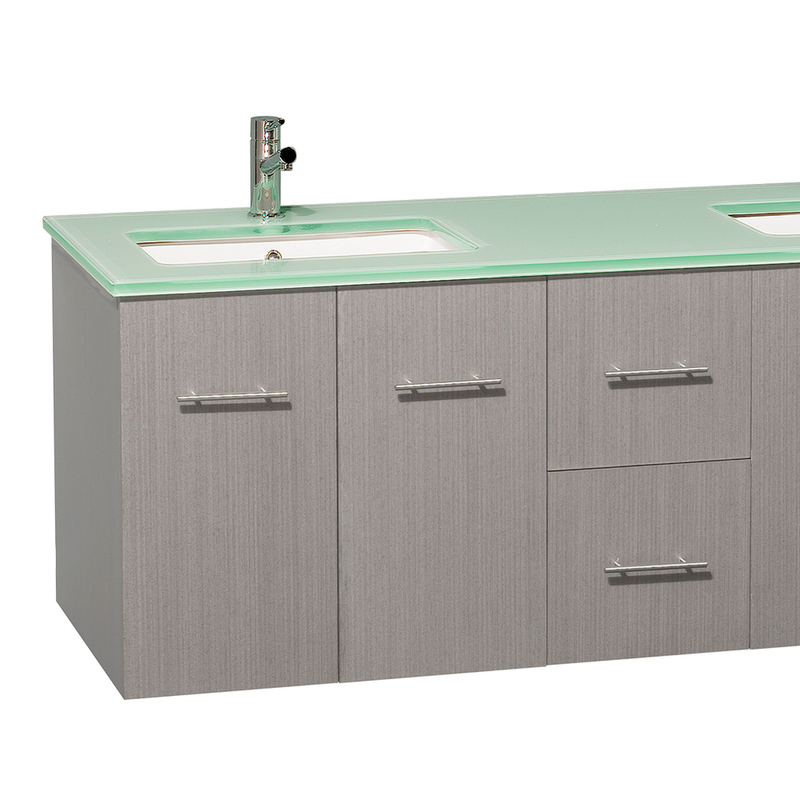 The top is available in green glass, white artificial stone, ivory marble, and carrera white marble. The matching mirror shown is also included.